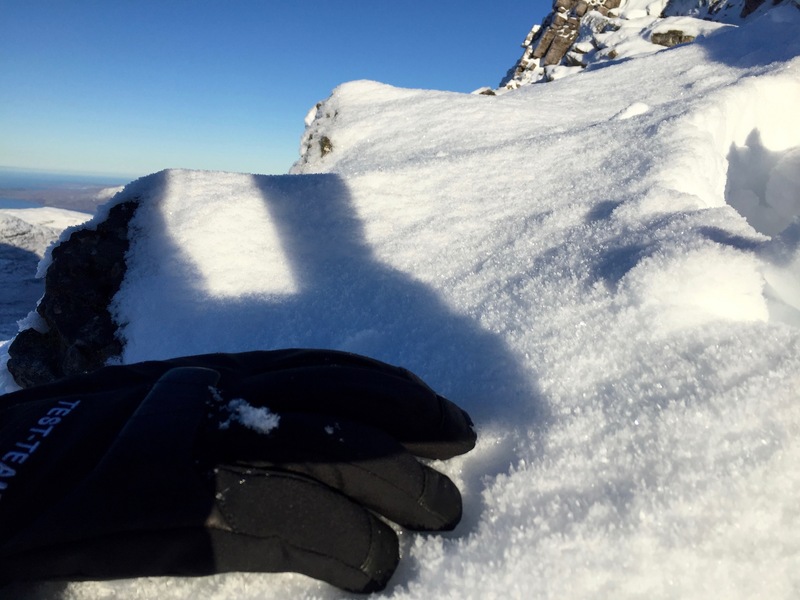 A wonderful crisp winter day with nice snow cover. It became very warm in the sunshine on southerly aspects but it was best to keep moving as its cold enough. 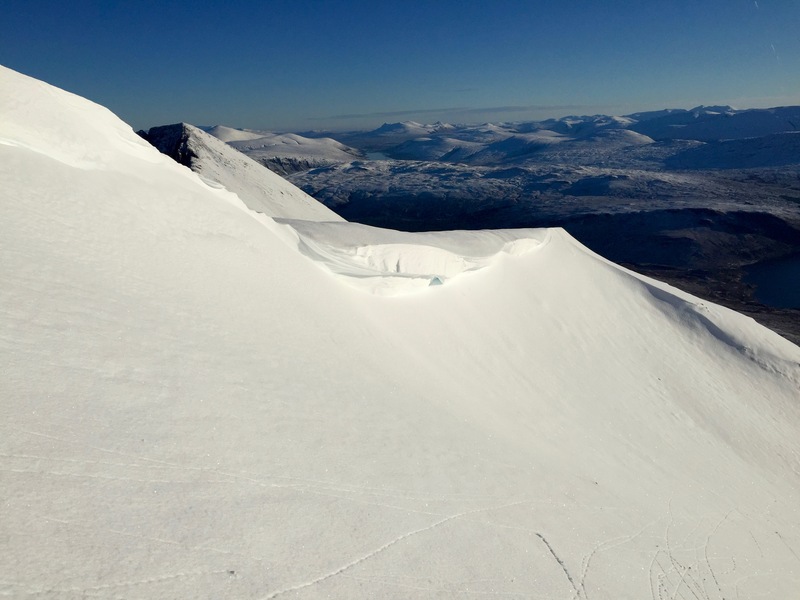 There are icy paths in places and higher up delicate surface hoar crystals have formed and there is an interesting temperature gradient within the snowpack. The snow is soft so it is hard and hot work making progress on foot. 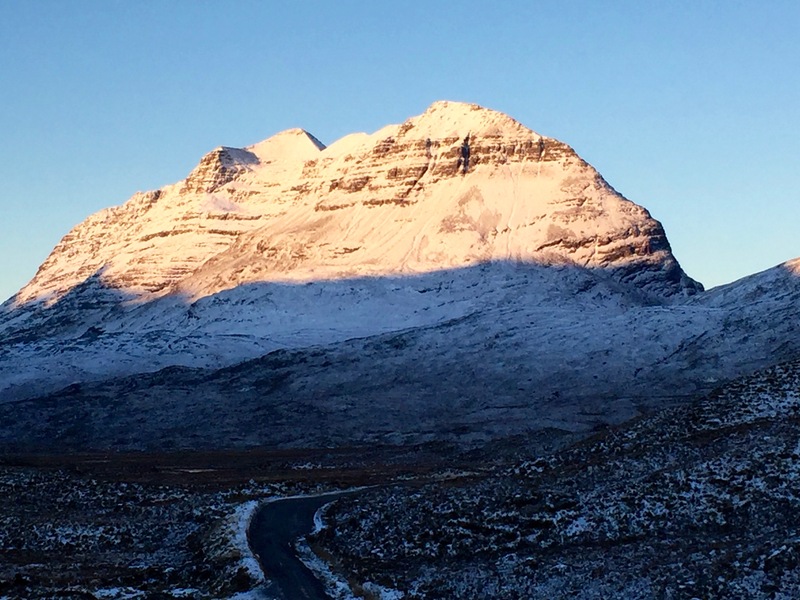 Liathach from the road side this morning, my vehicles not so accurate thermometer indicated – 4 degrees so it was probably a bit colder. 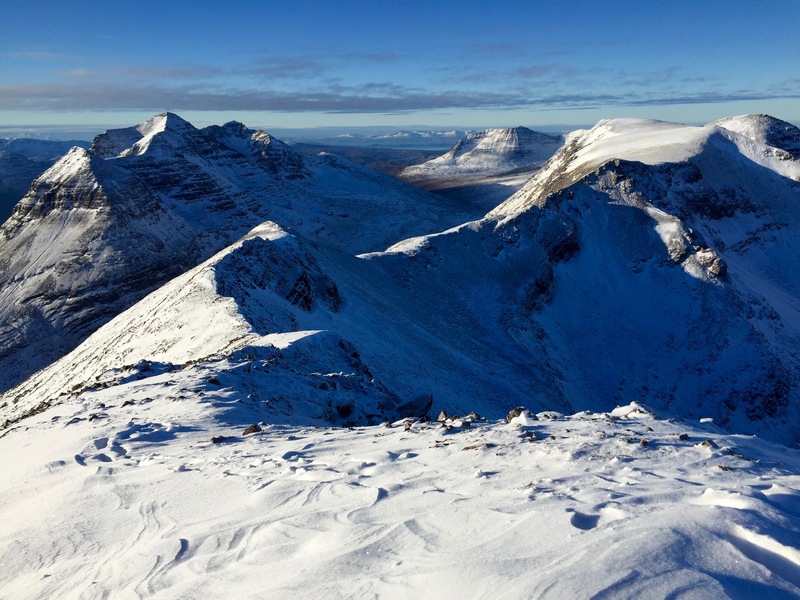 Liathach and beyond from Spidean a’ Choire Leith. No, I am not showing you my fancy test gloves, surface hoar, which I find so difficult to photograph. Mountain snow, sleet in the glen.